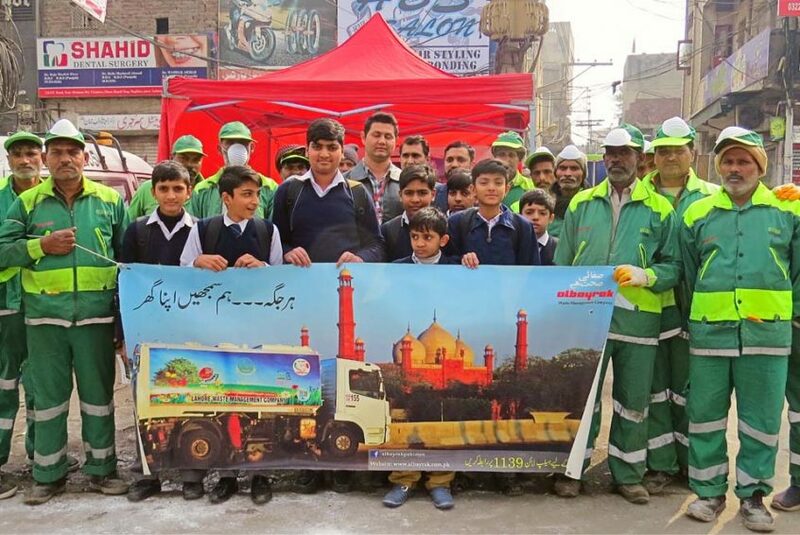 Lahore: To propagate the message of cleanliness among the citizens, Albayrak Waste Management arranged a cleanliness & advocacy drive on GT Road on Friday. At awareness camp established on Crown Road, the Communications & Operations teams of Albayrak briefed the visitors on the significance of their role in ensuring cleanliness in their surroundings. The students of local school also participated and pledged to lend their hand in making their environment clean and healthy. Leaflets carrying awareness message, were also distributed among the shopkeepers, residents and pedestrians. The one-day activity was concluded with an awareness walk in which waste management officials, students, sanitary workers and locals participated.